Smithy and smelting works chimneys , Chyandour, Penzance. 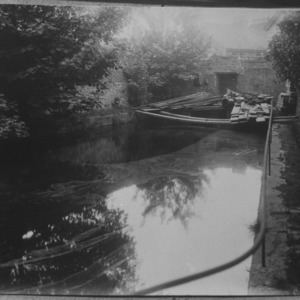 This half plate glass negative is of two photographs pinned to a board, presumably to make copies. 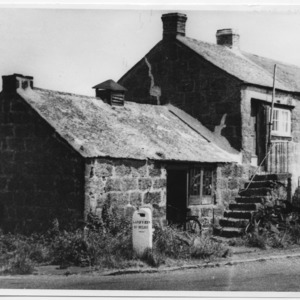 Polgigga Smithy in the 1930s. Now completely changed & converted to a domestic garage.